Producer Bellamkonda Suresh is on a roll these days. He has been tasting success after success for a while now and some of them came in the form of dubbed movies. 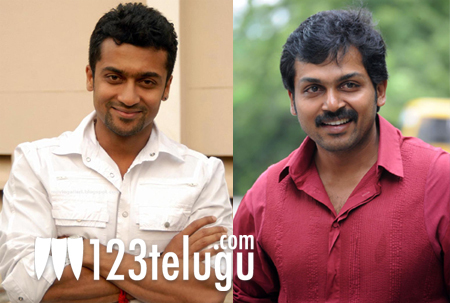 He has now picked up the movie rights of Surya’s ‘Maatran’ and Kaarthi’s ‘Saguni’. Bellamkonda is said to have paid a whopping amount of about Rs 24 Crores for the two movies, with the breakdowns being 15 Cr for Surya’s film and 9 Cr for Kaarthi’s flick. This goes to show what a deep impact these two brothers have created in the Telugu market. The question remains – When will our folks make a similar dent in the Tamil market?